How To Make Anjeer (Fig) Ka Murabba: Simple Recipe To Try At Home! It’s the season figs or anjeer as they are popularly known in India. This fruit is not only tasty but comes packed with numerous health benefits. 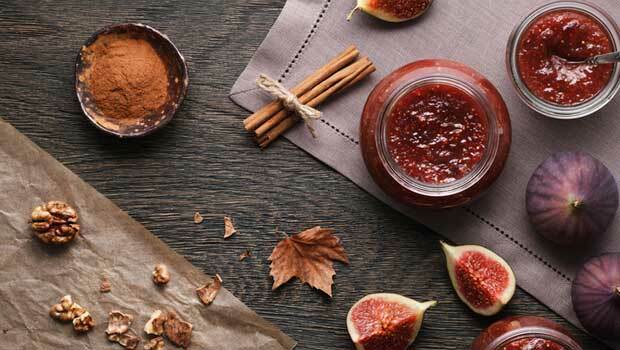 According to the book, ‘Healing Foods’ by DK Publishing, figs are a lovely, sweet and seasonal fruit, generally available from July to September, and can be enjoyed dried or fresh. Both dried and fresh figs are beneficial foods for blood pressure, thanks to their high potassium levels, and are also beneficial for maintaining a good digestive system and improving bone health. Figs make a great snack option; so, you can replace your candy or chocolate with figs, especially if you are looking to lose weight. While there are more ways to consume figs, one of the best ways to use them is to make anjeer ka murabba. Traditionally prepared with fruits, sugar and spices, anjeer ka murabba makes an important part of Indian households and is used extensively for its medicinal properties. If you wish to prepare anjeer ka murabba at home, we have got you covered. Culinary Expert and Food Blogger, Chef Reetu Uday Kugaji shares an amazing recipe of anjeer ka murabba along with some tips to keep in mind. Fennel seeds – half tbsp. Wash the anjeer under running water to remove the dust or dirt, if any. Soak the anjeer in 300 ml of water for about two hours. Keep turning it in between. Boil the soaked anjeer in the same water in which it was soaked on low flame. Add all the spices. Keep boiling it till it starts to get mushy. Mash the anjeer using a masher. Add nutmeg powder and a pinch of salt. Mix it thoroughly. Add the honey and cook it till it becomes thicker in consistency, just like a jam. Remove and cool it completely. Fill in sterilised and dry air-tight jars and refrigerate. You may soak anjeer for more than two hours to extract maximum flavour, and also it becomes much easier to cook them. You may add dry fruits of your choice to the murabba. You may add grated organic jaggery instead of honey, if desired. A pinch of salt is added to the murabba, as it enhances and brings out the flavours and sweetness within. Go ahead and make some delicious anjeer ka murabba before the season ends!